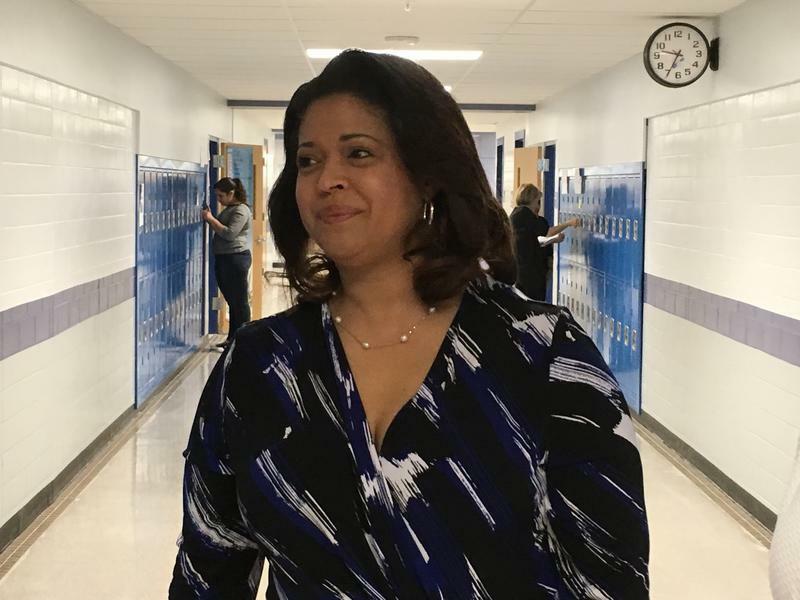 Baltimore County Interim School Superintendent Verletta White said a long-awaited audit that was received by the school board Tuesday night helps to make her case that she should become the county’s permanent superintendent. WYPR’s John Lee was at the board meeting and talked with Morning Edition guest host Matt Tacka about what the audit found. Lee: Matt, we won’t actually see the audit until later today. It will be posted on the school system’s web site. But based on the presentation made to the board last night, no major problems were found with the school system’s procurement practices. Jack Reagan is with UHY Advisors, the accounting firm that did the audit, which examined thousands of documents connected to 18 contracts from 2012 to 2017. He said they found only one possible violation. That had to do with filing financial disclosure statements. Reagan said that needs to be monitored and that additional training needs to be put in place to fix that problem. Besides that there were a dozen other minor issues and he offered some ways on how to fix those. In an interview after the meeting, interim superintendent White said she is well aware that clouds hung over the school system following the tenure of school superintendent Dallas Dance. Lee: Baltimore County’s last superintendent was not on the up and up. Dance resigned and later was convicted of perjury for lying about outside work he did as a consultant while he was superintendent. That's why this audit was ordered. And you’ll recall that last year, the previous school board voted to make White the permanent superintendent. But the state school superintendent blocked White’s appointment, in part because the audit was not yet complete. So now a nationwide search is under way for a permanent replacement for Dance and White still wants the job. Tacka: Was there much discussion and debate about the audit last night? Lee: Yes, mostly about whether to release the first draft of the audit, along with the final report. Board members went round and round on this. Some argued for the sake of transparency to put both documents out there so people could see there was little change between them. Following the first draft, board members sent the auditors questions and comments. There appeared to be some concern about that process. Board vice chair Julie Henn asked Reagan, the audior, if there were any issues with that. Reagan said he had never released a draft of an audit. But in the end, the board voted to release the draft along with the final report. Tacka: So what happens now? Lee: Well, again you should be able to see the audit for yourself today on line. And there is some talk of a phase 2 second audit that would look into more school system contracts. The board will decide whether to do that. But interim superintendent White says she doesn’t think it's necessary, based on the findings in the first audit. Baltimore County’s school board is struggling to find its way as a newly partially elected, partially appointed board. At the same time, it has come under fire for not releasing a long-anticipated audit, rushing through a permanent school superintendent search and micromanaging Baltimore County’s school administration.